It’s revered in marketplaces, dangled up for display or promoted at the front of the stall, and if you’re a restaurant that serves it, there’s no doubt you’ll hang it near the doorway, luring in the seduced guests. You’ll immediately know there’s something special about the stink bean. 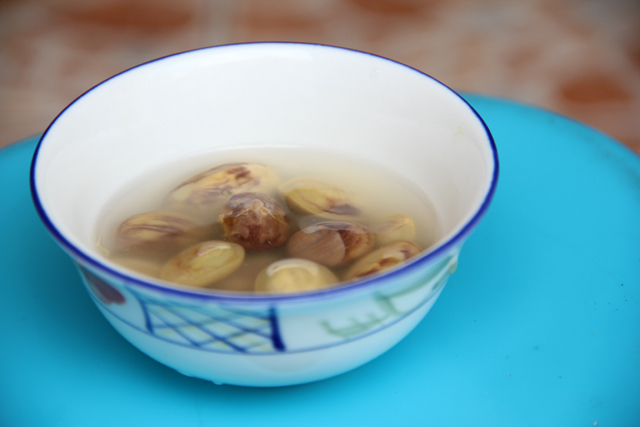 Stink bean, also known as parkia speciosa, sataw (สะตอ), petai, peteh, bitter bean, smelly bean or twisted cluster bean is widely consumed in southern southeast Asia. The beans grow hanging from a tree, wrapped in a tough outer skin of twisted pods that grow in clusters. With a high concentration of amino acids, the nutrition packed bean has an aroma that some say could pass as methane gas – but in a scrumptious sort of way! The smell doesn’t end at the meal, the scent of stink beans will follow you in a similar way that asparagus makes its comeback: well represented in your urine. I know, that description is probably not selling you, but let me reassure you that I think it’s probably one of favorite things to eat on the planet. Peeling the pods takes a knife to slice open the shell and remove the inner stink beans. The larger the beans are, as I’ve noticed, tend to be packed with a little extra boost of pungency. 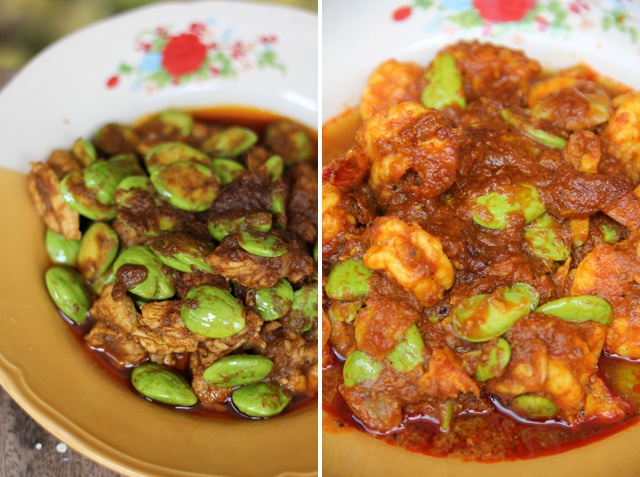 While Indonesia, Malaysia and Thailand each have their own slightly unique ways to cook stink beans, they are commonly stir fried in curry paste and paired with other robust ingredients like garlic, chillies, and shrimp paste. Pad sataw (ผัดสะตอ) is a Thai dish frequently cooked with either pork or shrimp and flavored with a masterful curry paste blend that includes garlic, chillies and turmeric. It’s a dish I just can’t seem to get enough of, a combination I wouldn’t hesitate to travel to the ends of the world just to eat. No southern Thai meal would be complete without stir fried stink beans. They are not only prepared stir fried, but also roasted in their shell and served along with nam prik, a variation of spicy Thai chili sauce. I’ve also enjoyed stink beans pickled in sour brine. The beans don’t lose their awesome flavor but take on a little more of a rubbery texture similar to pickled carrots or radish. It’s like popping skittles in your mouth, only much tastier! Stink beans are not only heaven to the taste buds, but are also a powerhouse of healthy nutrients. They have been proven to aid in everything from lowering blood pressure to relieving stress and warding off heartburn. Studies have even revealed that the bean is loaded with natural energy boosting sugars. Pour out your Red Bull and start popping stink beans! I enjoy eating a large variety of things, but more than almost anything else I include in my diet, there’s truly something magical about stink beans. The complexity of the flavor, the spices it’s commonly cooked with, and the gaseous sensation that erupts into your mouth with each bite (and comes out in your urine for days of remembrance), makes the stink bean one of the most remarkable plants to eat on the planet. Oh parkia speciosa, you may be a little stinky, but I dearly love you. 70 comments. I'd love to hear from you! I don’t mind farting a methane case so or whatever , I try to eat a lot when I get them , it gives the real taste with chilli, garlic n tomato chutney, slurrp …. Hey Mark! 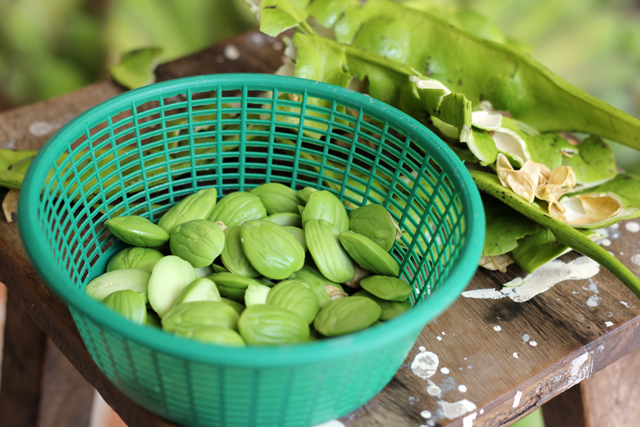 I’m so Glad you had a chance to experience this awesome petai dish as it’s also one of my favourites !! I usually eat them with sambal ( shrimp curry) paste . But I also do enjoy eating them raw too . It’s packed with goodness. Thanks for bringing us to all the fabulous places that are all so inspiring and exciting . Safe travels always ! when i was young, i do really like this bean, but now, i can’t stand with its smell, especially when i urinate. Hehe, definitely Sabrina, it’s good if you all love petai! Have fallen in love with Sator since moving to Thailand, Mark. I had a woman in the market here in Hua Hin wrap one in a betel leaf smeared with red curry paste. That was quite an experience with the heat of the uncooked paste and the raw bean. Not sure I’d rush to try it that way again, but had to try it once. Well, we kept in untoch for very long til it tuurn black. Once it turns black we take out the beans which is black as well, ke kept it like that for as long as we like, once we want to eat, we put in in water for ariund 42 hours and remove the black coverings, looks very fresh and taste fresh as well. Do we need to remove the “bulb” or the “heart” of the bean after halving it? Some say that may cause cancer..
Hey Jess, thanks for highlighting this. I’m not totally sure, but will look into it. Hi Mark! 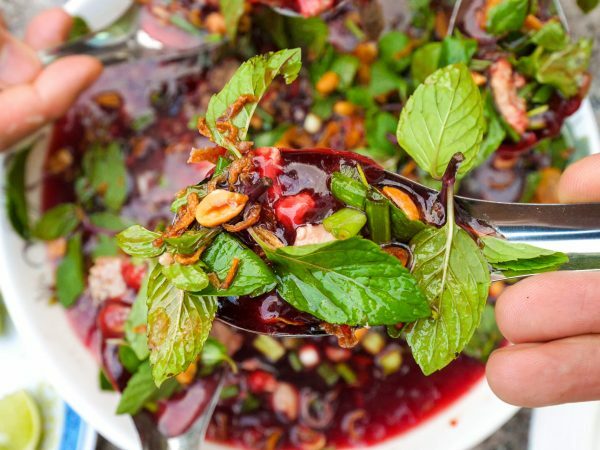 Do they serve this over at Soei – the restaurant where you took Andrew Zimmern? I just had the dish sambal petai with shrimps at a Malaysian Restaurant here in LA. It was my first time to try the Stink beans and its so good, i love it a lot! I search it on youtube and voila, i saw your video! Thank you, my curiosity about unusual beans has been answered. Hey Elvie, wow that’s cool that you can get stink beans in LA, glad you enjoyed it! Where can I buy the Stinky bean seed for my family size plantation? Hi, Mark! I really enjoy your vlogs. They entice me to go live in Southeast Asia. I wish I could get my hands on stink beans here in Seattle (Washington, USA). If you know of any sources, please let me know before I, too, start throwing a tantrum. Hey Ron, thank you very much, really appreciate your support. Not sure where, but if I get any hints, I will for sure let you know. Thanks! I have lived in San Francisco, Houston & New York City, there’re frozen Thai imported stinky beans for sale in freezer packages , most Chinese supermarkets in these 3 cities as well as other major American cities sell peteh beans. I saw them for sale at Asian stores readily available in Amsterdam, Frankfurt, London & other major european cities as well. Hi Ron, there is an Indonesian grocery store in Seattle that sells petai occasionally. I’ve seen them. Was always told by Oma that these were good for the kidneys. Hey Miehoen, good to hear that! Thank you so much for your reply and advice Mark and apologies for my late reply, we have been doing a bit of island hopping down south and had some incredible food adventures but the stink bean had continued to elude me. 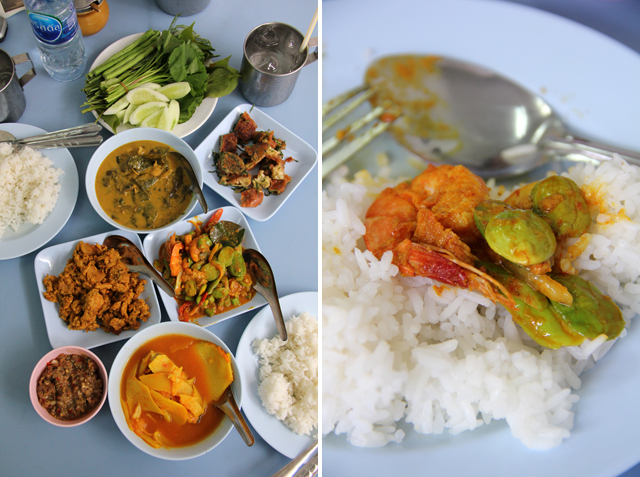 Yesterday we got into Krabi and on your recommendation we headed to Nong Joke for dinner! WOW, the food was incredible and I finally got my taste buds onto some stink beans! What fantastic things, I know I will be craving these from here on in! We are going back tonight before we start heading back north! Again thank you for your work, the food at Nong Joke is going to live with me for a long time. Cheers Mark. Hey Ben, no worries, oh awesome to hear that. 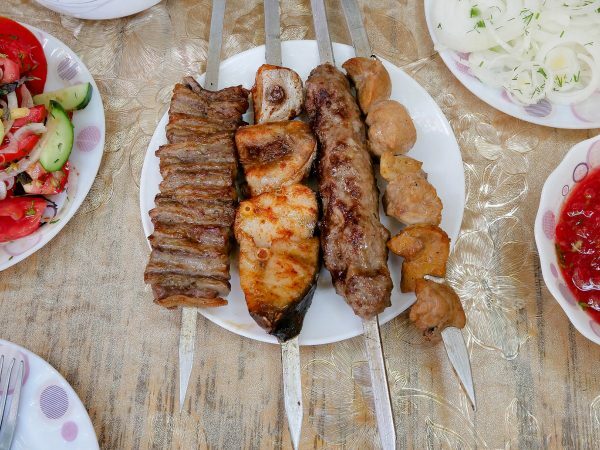 Enjoy the food! I finally managed to buy some stink beans over in the UK. I cooked them very simply with garlic and Chilli. I was surprised at how bitter they are. Are they meant to be very bitter or have a missed out a step in the preparation? Is there something that I need to cut out of it? I also found some worms in my petai! Hey Peter, so cool that you found some stink beans. Haha, worms are typical… but they are not usually too bitter. I’m wondering if they became more bitter as they are probably not as fresh as you’d get them in SE Asia? They sometimes have a tiny bitter tinge, but not much. Thank you for sharing though, glad you were able to find some! Finally managed to try stink beans for the first time last night; I’d been looking for them for ages and was in my local Chinese food store and saw a lone packet of fresh beans. Made them into a goong pad sator (fried with prawns, red curry paste and lime leaf) the flavour was great but the texture of the beans was fantastic. Very happy! Hey Naomi, awesome thanks for sharing, glad you found some and enjoyed them! just found your videos here a great help in exploring Bangkok, I tried quite some of the food, and my friend and co worker from Bangkok said, you really picked the highlights of food in Bangkok..so..thanks for your work, I really had a fantastic time n Bangkok. Hello Christian, thank you for the kind comment and glad you had a great time in Bangkok! Mark I’ve eaten Jongtaa (in my mother tongue) aka Parkia my whole life every season i.e late November to march. What you said about this bean is all true and i cant help but agree to it… its in the farts and urine and even in the breath. The smell is persistent at-least a day and a half. The thing about this Jongtaa is that you cant seem to resist it when its served. I personally dont care about the pungent smell for that matter, it strike taste-bud to the wildest. Fermented fish, dry fish, fermented bamboo shoot etc are some ingredient we often add with the beans. I appreciate you to have covered it to the last detail of this particular species. Hey Lian, YES, glad you feel the same way about stink bean as I do. 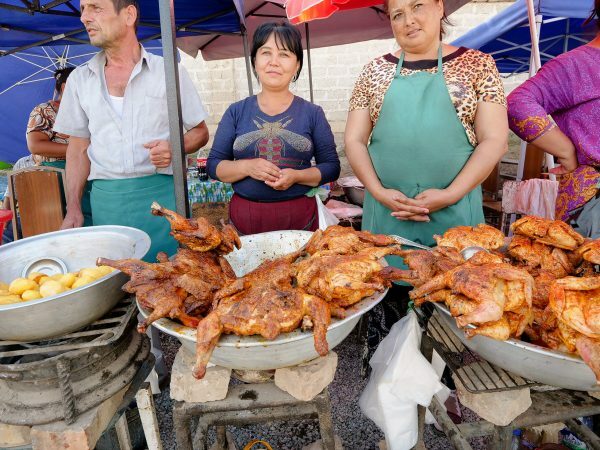 I don’t care how bad it smells (but I don’t mind the smell), it’s one of my favorite things to eat in the entire world! 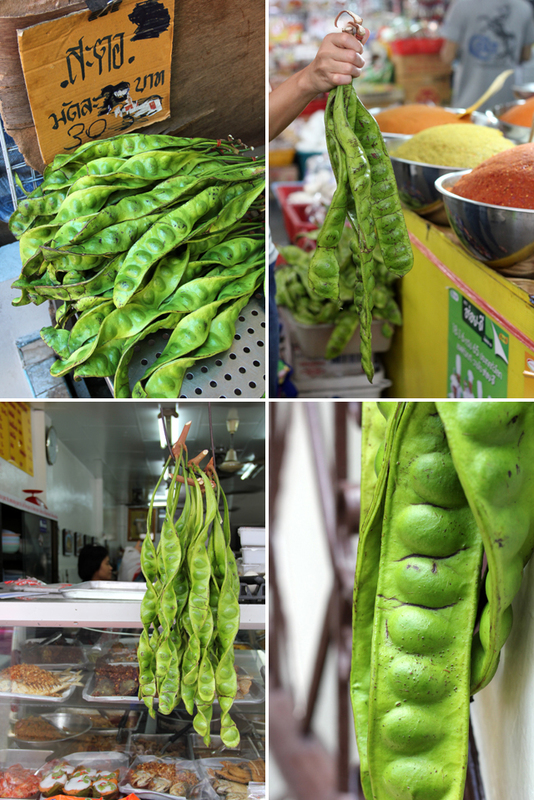 Now this is why you are my must read culinary travel blog Mark; we Phuketians adore our stink beans! Yes Elizabeth, glad you love stink beans too! I’m loving it. I always asked my mom to cook the stink bean cooked with chilies and tamarind in each time I am going back to my hometown. So greedy and hard to share a bowl of this dish with my siblings! Hey Kar, glad you love it too! I just had a huge plate of stink beans fried with shrimp yesterday… all to myself!! Where are you from? As you can tell, I’m catching up on your blog today. Great name and great photos. Thank you very much Heather! It is a great name for a delicious thing! Haha, I eat stink bean (and durian) so much now, I’ve decided to just only meet people that can handle it! We can eat some stink beans together! 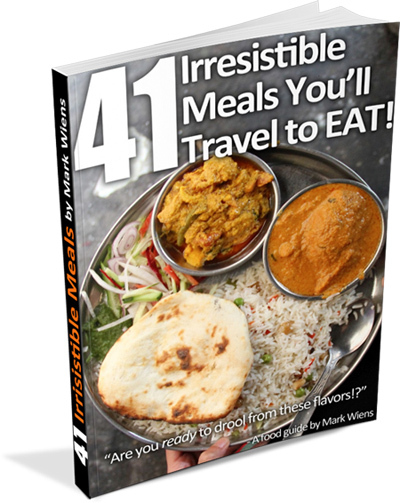 With all the great foods you’ve tried, if this is one of your favorites, it must be amazing. 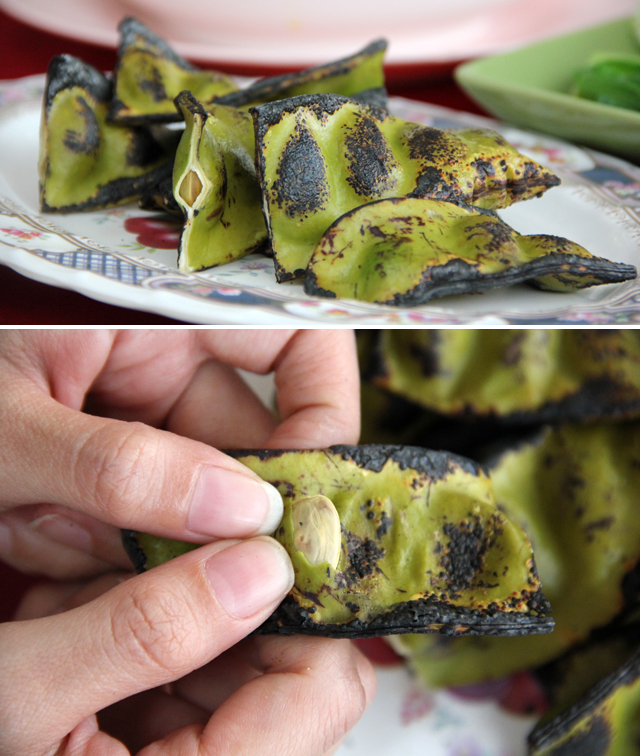 These sound like a more potent version of the Japanese edamame! Never heard of them, but I won’t let a little (or a lot!) stink get in my way… I’ll definitely give these a try if I see them in Thailand! Cool Steph, they are amazing and available all over Southeast Asia, especially in Thailand (southern), Malaysia and Indonesia – I think you’ll enjoy it! Hi Mark. You make me want to eat more exciting foods. Enjoy your videos . Say hello to your wife she seems very special. Thank you very much Phyllis, that’s awesome to hear. mark: *in a kid like voice* I am throwing tantrum now!! !Me wants stink beans now!!! Haha, I have been known to throw tantrums about stink beans as well!